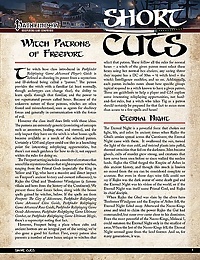 Today we resume our Short Cuts series of Pathfinder-compatible PDFs. 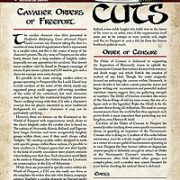 These are tightly-focused PDF products that look at a single topic relevant to the Pathfinder Roleplaying Game. 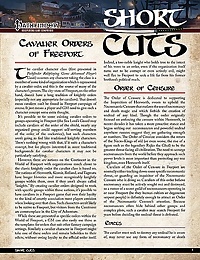 All Short Cuts are appropriate for use with Freeport: The City of Adventure, but can also be easily used in any Pathfinder RPG-compatible campaign setting. 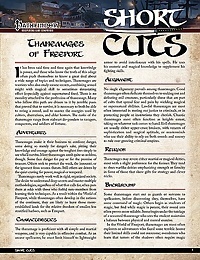 Short Cuts: Thanemages of Freeport is a 7-page pdf that presents a new base class designed to operate in Freeport, but appropriate for use in any Pathfinder Roleplaying Game-compatible campaign setting. 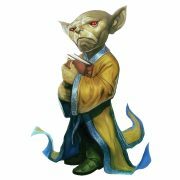 Thanemages are warriors who also study arcane secrets, combining armed might with magical skill to sometimes devastating effect (especially against supernatural foes). They are combatants first and foremost, but have learned that against some foes magic is the only effective weapon. This flexible approach applies both to their spellcasting (requiring them to prepare spells in advance, but allowing them to choose from among all their prepared spells when deciding what to actually cast), and the supernatural powers they learn to turn against horrifying eldritch foes. 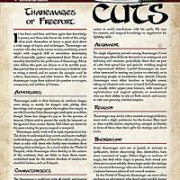 Get the Pathfinder Short Cuts: Thanemages of Freeport PDF today for just $2.95! 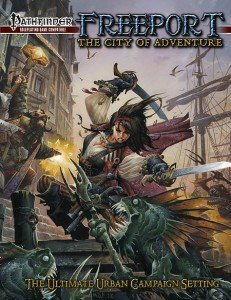 Titansgrave​ is coming to Gen Con! 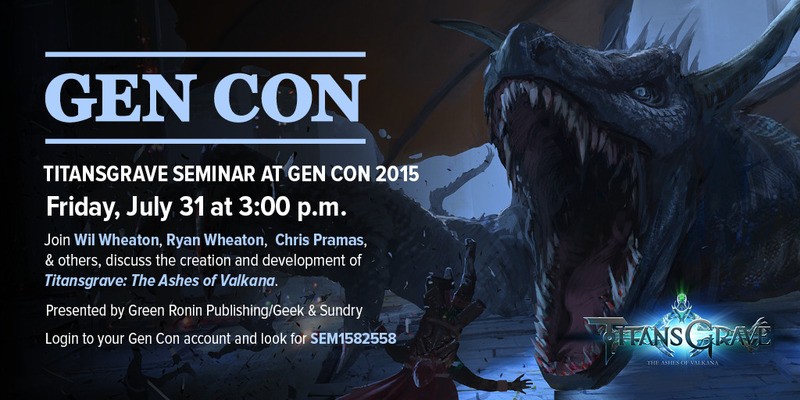 Make sure to login to your Gen Con account and look for SEM1582558 to reserve your spot! 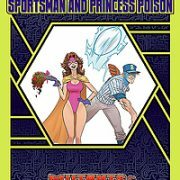 Presented by Green Ronin Publishing and Geek and Sundry. 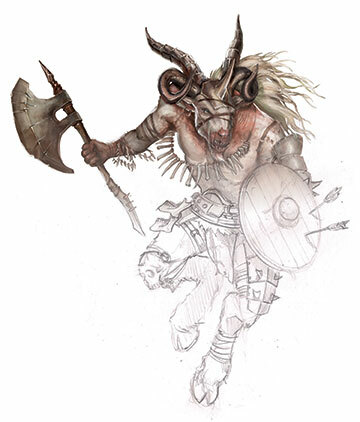 This year is going to be an exceptionally strange and exciting time for us at Gen Con. Not only is Team Ronin headed out in force, but we’re sharing space with Geek & Sundry, highlighting Fantasy Age and Titansgrave: The Ashes of Valkana! 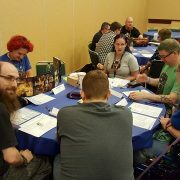 We’re so excited to have such great games for Gen Con. Before I get into the fun things happening, I want to kindly let you know what our Customer Service & Sales responses will be slow, as we’ll be dependent on whatever internet we can find while traveling and while we’re all working the show. Online orders for in-stock items (or PDFs of course) will continue to go out on the usual schedule. For those of you lucky enough to be attending Gen Con, stop on by and say hello at Booth #1509! We’ll be running demos of Walk the Plank, Love 2 Hate, Icons Superpowered Roleplaying, Dragon Age, A Song of Ice and Fire Roleplaying, Mutants & Masterminds, Ork!, and of course, Fantasy Age and Titansgrave: The Ashes of Valkana. Geek & Sundry will be featuring a photo booth, along with some great merchandise and surprises! 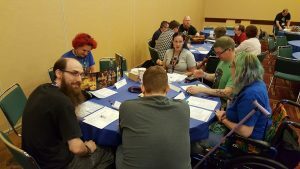 We also have volunteers running games at Gen Con, and we have some Seminars you don’t want to miss. If you didn’t get into a game, be sure to bring Generic Tickets to see if a spot opens up! 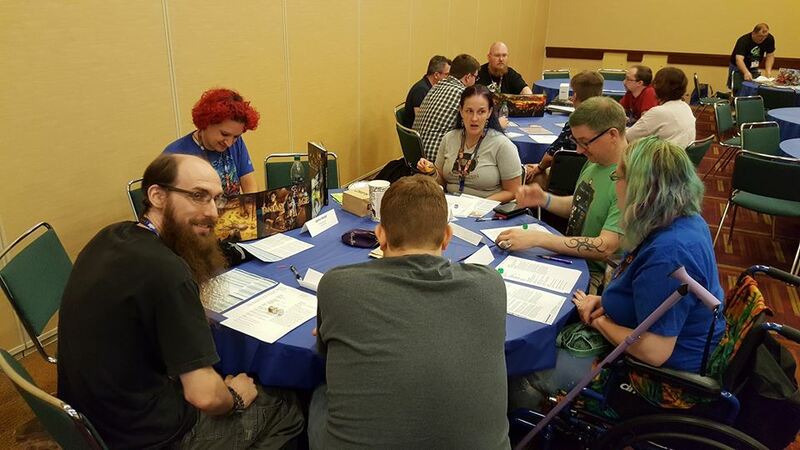 There are quite a few sessions of games run by various GMs & Gaming Groups, and we have a list of the officially submitted games run by myself or our Freebooter Volunteer GMs! For the Seminars, there are currently spaces, but you’ll definitely need to pick up free tickets to attend! 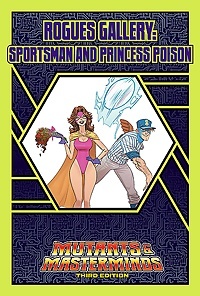 SEM1578319 What’s New With Green Ronin Publishing! SEM1582558 Titansgrave Q&A with Wil! 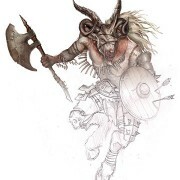 Thank you for your support, and we hope to see you at Gen Con!